Theresa Burns (Director of Dance) is thrilled to directing and choreographing this piece again. She most recently performed off-Broadway in Temple of the Souls (NYMF 2017-Theatre Row), directed and performed in An Evening of Cult Classics to Benefit the ACLU at Feinstein’s/54Below, and choreographed Urinetown at The Strasberg Institute. Past choreography credits include Camp Rolling Hills (NYFM 2016), the award-winning national and international tours of ¡Olé! (Theatre in Asylum), and Lippa’s The Wild Party, Kiss Me Kate, Into the Woods (Strasberg). For more performance and choreography credits, go to www.TheresaBurns.net. Proud member of AEA and SDC. 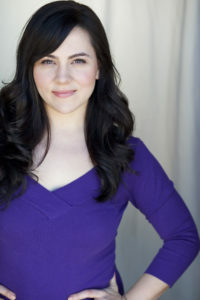 Esther Bermann (Stage Manager) is a California native who started performing as a dancing duckling at age 6. She holds BAs in Dance and Drama, with a minor in Business Management from the University of California, Irvine. She has worked on the administrative teams for Dance/NYC, Pentacle, and NYC Arts Coalition. Stage management credits include How the Light Gets In (NYMF), Master (Foundry Theatre), The White Dress (Araca Project), Do You Dream in Spanish? (Fresh Fruit Festival), and Mr. Marmalade (UC Irvine).